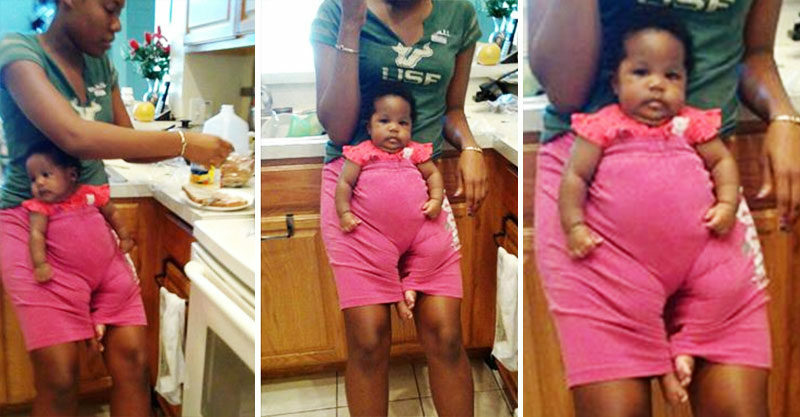 New mum Claudia Sorhaindo took to Facebook to share her awesome niece’s multitasking pants-fix, and the internet is going pretty nuts for it. Claudia had gone on a quick errand, leaving her daughter Ava with grown-up niece J’Ann. 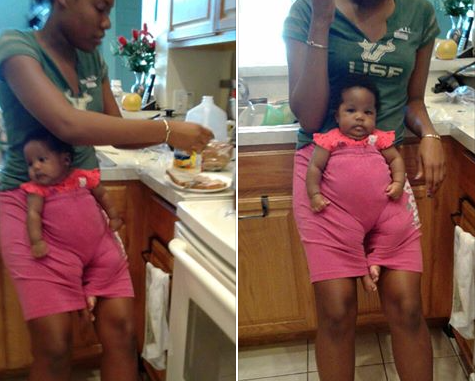 When J’Ann got hungry, she didn’t let holding the baby get in the way of fulfilling her sandwich dreams. Claudia was super-impressed with J’Ann’s pants-themed solution. She explained how it all went down. “So I had to run out the house for a quick min, so I asked my niece to babysit baby Ava,” Claudia wrote. J’Ann’s solution embodied “creativity at its finest”. The post has been shared 240 000+ times, with commenters noting that baby Ava seems pretty pleased with the whole situation. “She well comfy,” one wrote. “Y’all better patent it quick! !” One gent advised. “This pic makes me laugh… Like Ava gone runway or something,” one woman chortled. It is unclear what kind of sandwich J’Ann was making, but we’re sure it was made even more delicious by the company of her pants-riding little pal. Thanks heaps for sharing this with us, Claudia!